Taking your opponent out of his comfort zone is a good idea to start your game with. 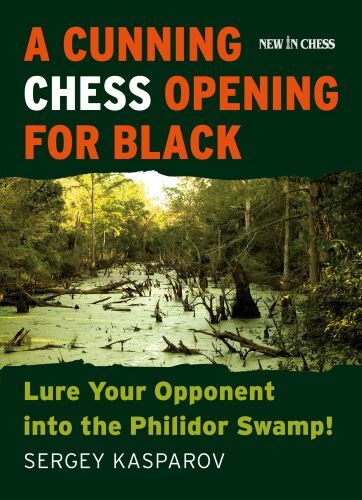 Grandmaster Sergey Kasparov pushes this concept one step further: lure your opponent onto the slippery paths of the Philidor Swamp! After 1 ... d6 2.d4 Nf6 3.Nc3 e5, White is confronted with a stark choice: either to continue on the road of a calm Philidor Defence, or to immediately gain almost two tempi by forcing Black into an endgame that looks better for White, if not close to winning. This second option, however, is a treacherous road strewn with pitfalls, as Kasparov demonstrates in his fresh, humorous and persuasive style. White will walk into the Philidor Swamp in which he runs a big risk of getting stuck. Sergey Kasparov does not bother the amateur reader with variations of 15 or 20 moves deep, but concentrates on the plans and counterplans for both Black and White. Kasparov provides dozens of entertaining and instructive exercises to test your understanding.